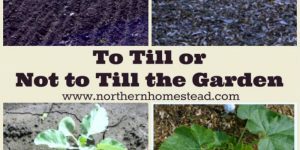 Another gardening month has come and gone, it is time for an update. 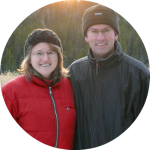 I write these updates mostly for us, but if you are interested, we do try to pack something helpful and informative into it as well. 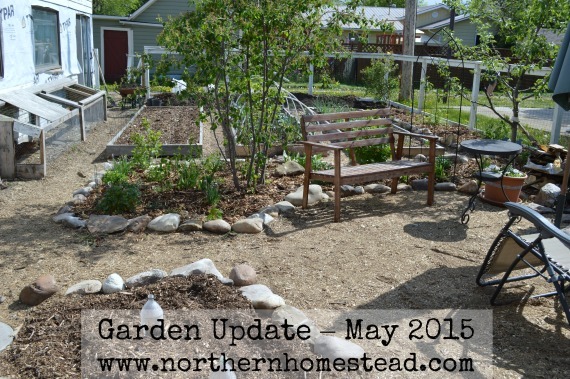 This is our 4 year anniversary of monthly garden updating. Here is our garden in 2012, 2013, 2014 and 2015. Lots has happened! 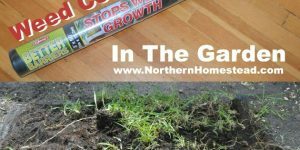 Before we go to the fun stuff, let’s deal with the weeds first. We have lots of quackgrass (Elymus repens, commonly known as couch grass). We really had to deal with them more radically than we usually would. Most weeds are chicken feed around here. The problem with quackgrass is the roots. 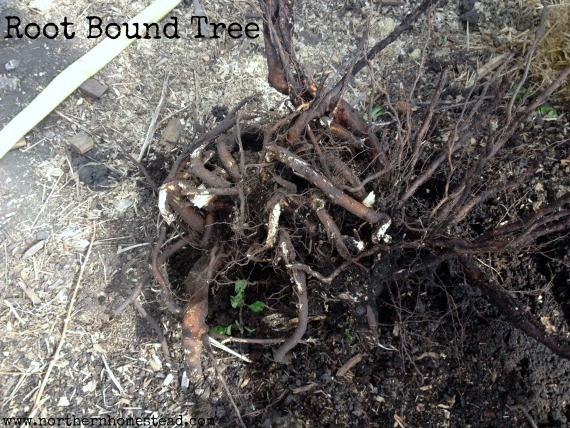 They build a net of roots under the soil, taking over the garden. The area that we had tilled and covered last year was doing quite well, everything else was overgrown. Since we do not use aggressive weed killers, we simple worked by hand, digging them out. 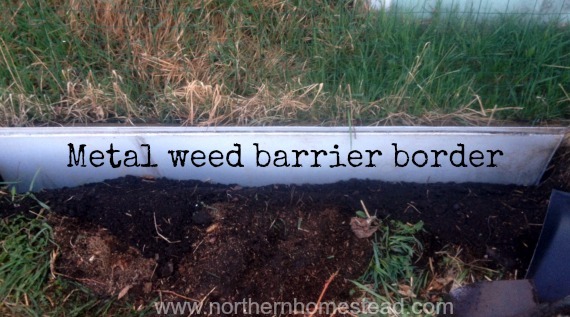 Since it spreads by roots, we knew we had to separate the garden from the rest, so we installed a metal weed barrier border, about a foot deep. Hopefully all this will help to have less of these weeds in the garden. Now let’s move on to better topics. Why would God create something as nasty as quackgrass? A grass that looks ordinary till you see the roots. Oh my, thick and white and strong. It makes no sense, does it? Well, God does not make nonsensical things. Those roots are medical roots. Yes, medicine in abundance, everywhere. These roots are * Antibacterial * Demulcent * Diuretic * Expectorant. It is useful for treating urinary infections because of the herb’s broad antibiotic and diuretic properties. One of the chemical constituents, agropyrone, has been shown to have strong antibiotic properties. Guackgrass tea will also soothe and coat an inflamed sore throat, and helps clear phlegm. 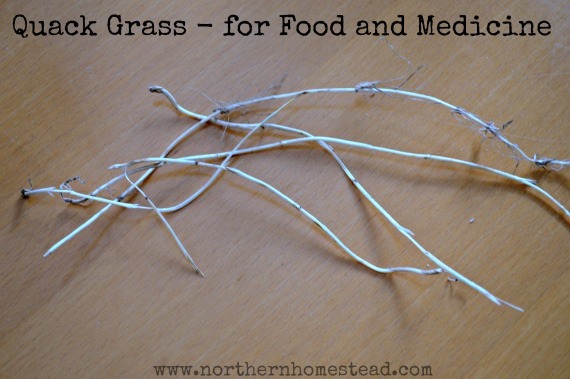 Find more info at: Quackgrass – Weekly Weeder #41. 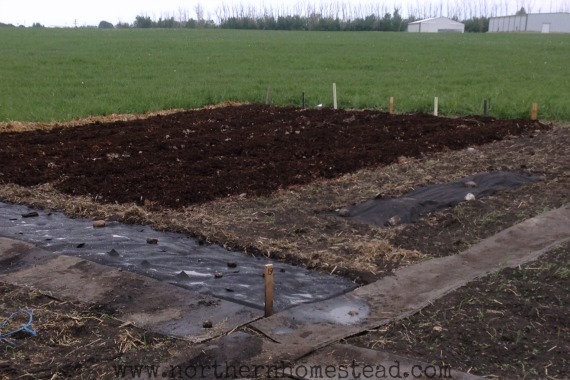 Homesteading on 1/8 of an acre leaves very little room for trees. 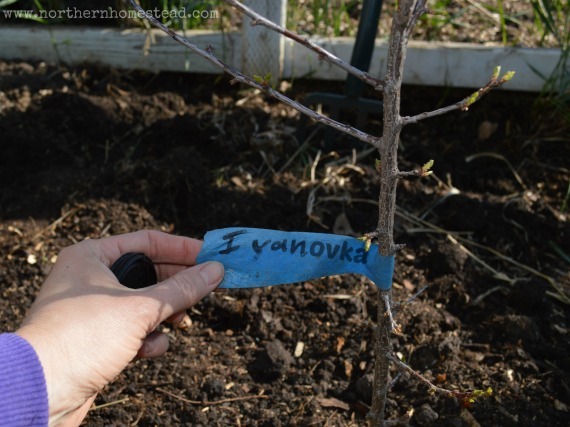 Still, we love trees – fruit trees. It is challenging to grow fruit in our zone 3, but still there are some that do well here. In my search for those trees I came across the M360 apple tree. It sounded so good that we had to have it. Again, in search for that apple tree, we came across a plum tree with the name of my birth place. What are the odds to find a tree with the same name as the little town I was born in? We just had to have that one too. How fun! All in all we planted two new apple trees, two plum trees, and an apricot. 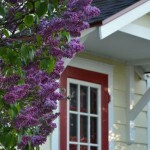 You can find most of our woody perennials on pinterest. We also had to remove one crab apple tree, I know it is sad. But by getting it out we could see what root bound looks like for a tree, not pretty. We were thankful that all our new trees came bare root and we could spread them out nicely for many happy years to grow. Another first for us this year is the community garden. 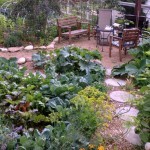 We have been growing a farm garden for many years. This year we joined the local community garden. Looking forward to grow a garden along side great gardeners. We grow mostly potatoes there, along with some corn and a few other specials. Everything else is grown at home. We extended the garden this year even more. There are just so many yummy plants to grow and we love it. We covered the beds with more wood chips mulch, the ‘Back to Eden’ way. This eliminates weeding and watering. Speaking of watering, it is very dry this year, so to establish young seedlings we do have to water. 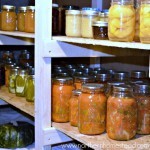 The 2000 liters of stored water in our garage – greenhouse come in handy. 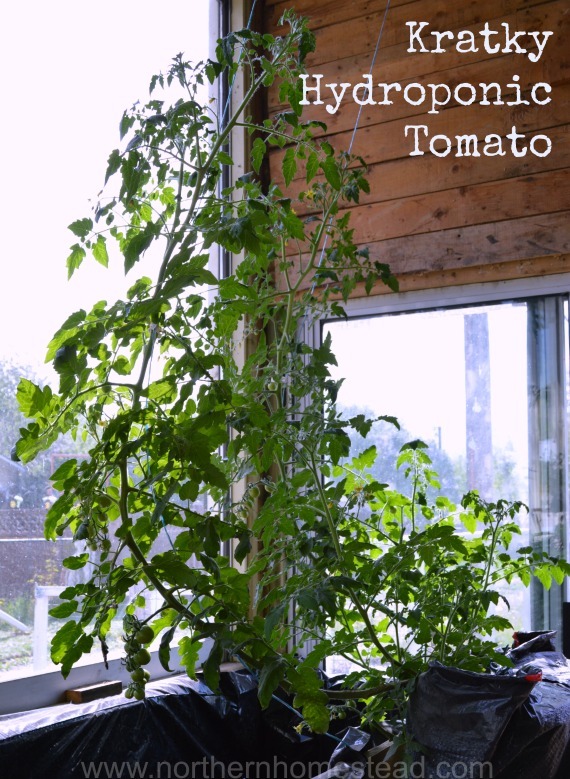 It served great as thermal mass in winter and was awesome to have in early spring. The grow bags we had last year in the greenhouse are this year on our driveway. A driveway garden if you will. Jakob built some water holding boxes for them all, and some window wind barrier for the tomatoes. 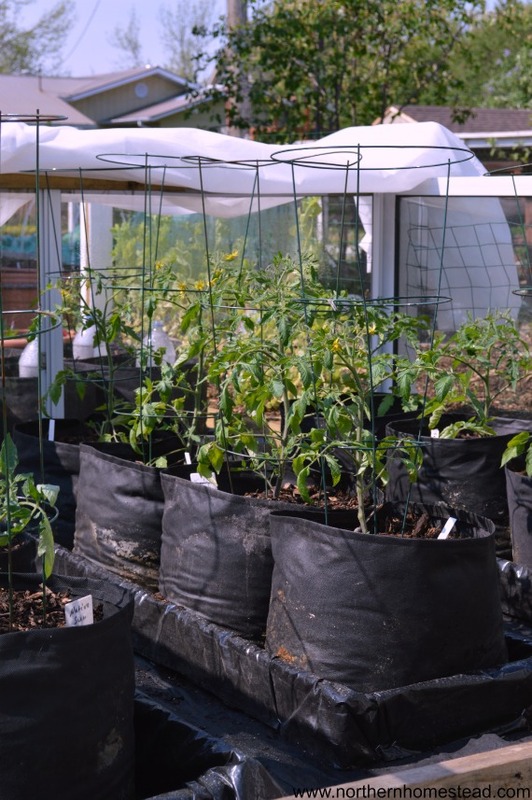 We hope that the heat from the concrete and the black bags will help to keep the heat loving plants warm. We love asparagus. Asparagus is a plant that you plant once and enjoy for many years. We planted 3 different varieties, Jersey Knight and Mary Washington as seedlings, and Sweet Purple as root. Asparagus, especially in our cold climate, needs to be planted deep so it does not come up too early in spring. As it grows we will fill in the soil and mulch. 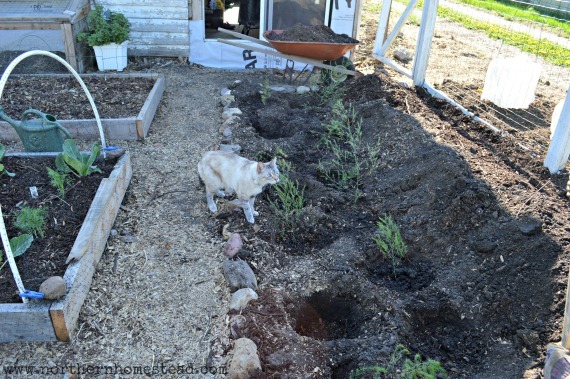 No, the asparagus bed does not look pretty as for now, but our cat seems to like it ;). 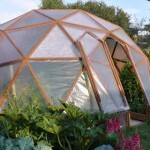 After the garden is planted Jakob works now on the greenhouse again. The plants for the aeroponic have to wait. Some of them are still growing the Kratky method and do very well. Others are on the Tower Garden. We hope that end of June we can have more of an update on that. As you see, there is lots growing here. How is your garden doing? About 5 years ago I planted my asparagus row. If I only knew then what I know now! If I had known how tall and bushy they would become I would have planted them along a fence line to block my neighbors house. You would think I was growing bamboo, they are about 15 (+) feet tall! Excellent and edible privacy screen! Transplanting asparagus is possible, but not fun. They will not get as tall here in our short summer, but still be a privacy screen to the back road. 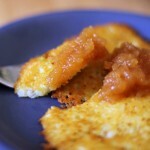 Do you have a source in AB for the M369 apple? The Cheyenne Tree Farms Ltd. in Beaumont, Alberta has the M360. However, they did not call me beck, if they have one for this year. But worth trying. So things are looking well in my garden (I have raised beds garden) but notice that my neighborhood rabbits figured that there is new “salad kitchen” now open for their pleasure (LOL). Had my dog chasing one but most likely he will return unless I sleep with my dog in the garden. I have no fence around garden and most like will not have one, mind you, I might place individual fence around each of the raised beds. Is this a good idea? What would be most effective way to deter rabbits? Any suggestion welcomed. It could be that the rabbit will avoid the garden, since there is a dog sometimes. 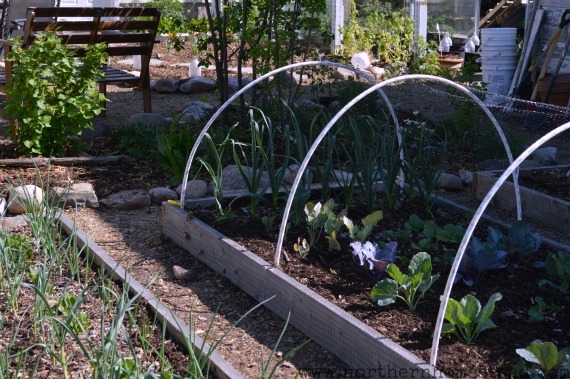 If not, simple bird protection net over the raised beds could help (as you see in our picture with the hoops). 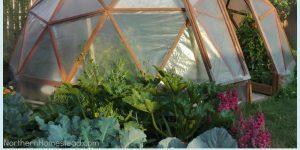 The hoops could serve double as season extension in spring and fall, and with the net as rabbit protection. 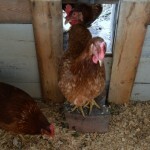 The net is very inexpensive, we got ours from H&H. Hope this helps, happy gardening!